As a rapper, poet and writer, Roland Pemberton introduces people around the world to Edmonton. Home is an elusive concept to Roland Pemberton. 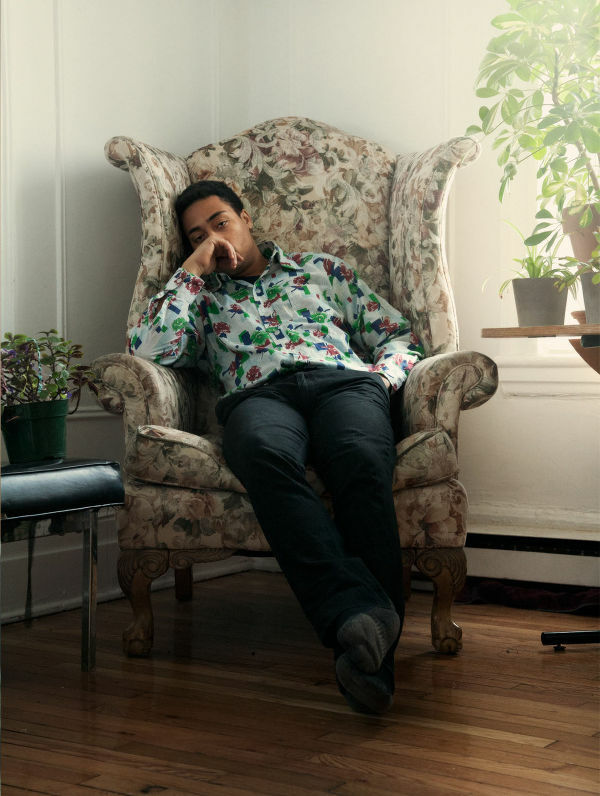 For the 25-year-old rapper/producer – stage name Cadence Weapon – arts journalist and, until July 1, the City of Edmonton’s Poet Laureate, home is both physical and abstract, a permanent place on the map and a constantly shifting idea. The physical part of Pemberton’s home is easy enough to define. He was born and raised in Edmonton and has a homegrown legacy to go with it. His late father is Teddy Pemberton, the DJ credited with introducing hip hop to Edmonton airwaves in the 1970s, and his grandfather, and namesake, is Eskimo hall-of-famer Rollie Miles. It’s the idea of Edmonton that is more difficult to define. “This is something I was talking to [filmmaker] Trevor Anderson about,” says Pemberton over a mug of tea at a downtown Internet cafe. Relaxed but excitable, he enthuses about Anderson’s short film The High Level Bridge, which played at this year’s Sundance Film Festival. “What he’s doing with that movie is really valuable. It’s a permanent document about Edmonton, and there’s not a lot like that. It’s perhaps no surprise then that Pemberton has taken his passion for creating “permanent documents” about the city and pursued it just as fiercely during his two-year stint as poet laureate. He’s also trying to upend assumptions about what poetry is – what it looks and sounds like, how it engages with its subject matter and the basic medium through which we experience it. The result is an energetic mix of hip hop, spoken word and performance art that is dense, intricate and littered with linguistic somersaults and local knowledge. One poem, “Dirt City (New Strathcona),” has bleak but pointed lines such as “Colours mock the Oil City Roadhouse” and “City Market Apartments punctured, frothing incursions.” Yet the poem is not an indictment; it argues that the dirt gives Edmontonians some added character. Pemberton thinks of the poet laureate as a general “arts ambassador” and stenographer for the city. His highest-profile performances so far have been during the Vancouver Olympics, where he performed at what is now the Rogers Arena, and on Parliament Hill, where he performed for 200,000 people last Canada Day. As Pemberton’s stint as Edmonton’s poet laureate comes to a close, he’s starting to look beyond the city while planning his next moves. The third Cadence Weapon record, Roquentin, is due this month. It’s a departure for Pemberton in many ways. It’s more conceptual, drawing its title from a character in Jean-Paul Sartre’s existential novel, Nausea. As well, the album was recorded almost entirely in Toronto with a full, live band and mostly without electronic samples. He previews one of the new songs, tentatively titled “Jukebox,” on his iPod. It’s a lush, propulsive track that is a far cry from Breaking Kayfabe’s glitchy minimalism. It even features saxophone work from Pemberton’s uncle, Brett Miles, leader of the band Magilla Funk Conduit. It’s still unmistakably a Cadence Weapon song, but he’s managed to square these new influences with his more hard-edged sensibilities. Along with this musical departure comes a geographic one. Pemberton has already started to split his time between Edmonton and Montreal, and entertains the idea of relocating to somewhere completely new. He also continues to tour, as a rapper. When Roquentin comes out, he expects to be on the road for eight solid months. But what happens when the guy who wrote “We Move Away” moves away? It’s a question Pemberton has been anticipating. He partly attributes his absence to wanting to let some new local artists have a chance to enjoy the opportunities he’s been given, and partly to pure wanderlust. Or, now that his tributes to Edmonton are built, maybe he’s just ready to aim his artistic eye elsewhere? And, as he points out, it’s hardly the first time he’s been outside the city limits.